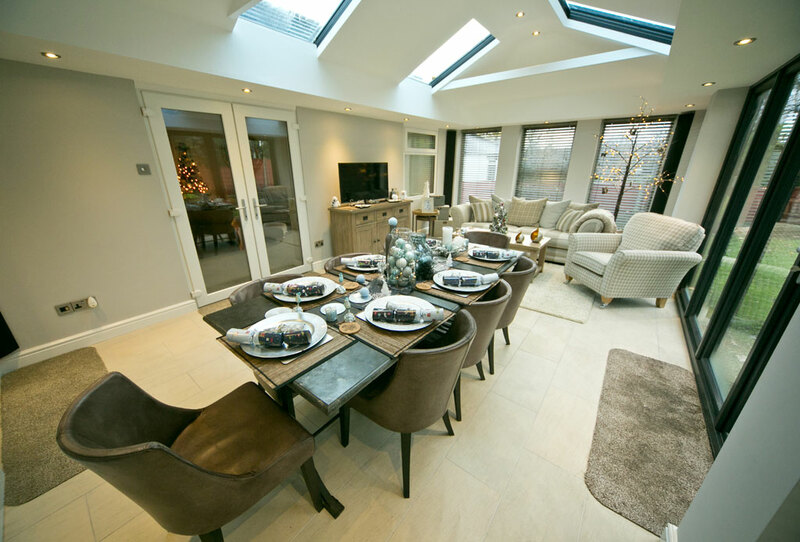 The LivinROOF is the ultimate hybrid solid roof system. 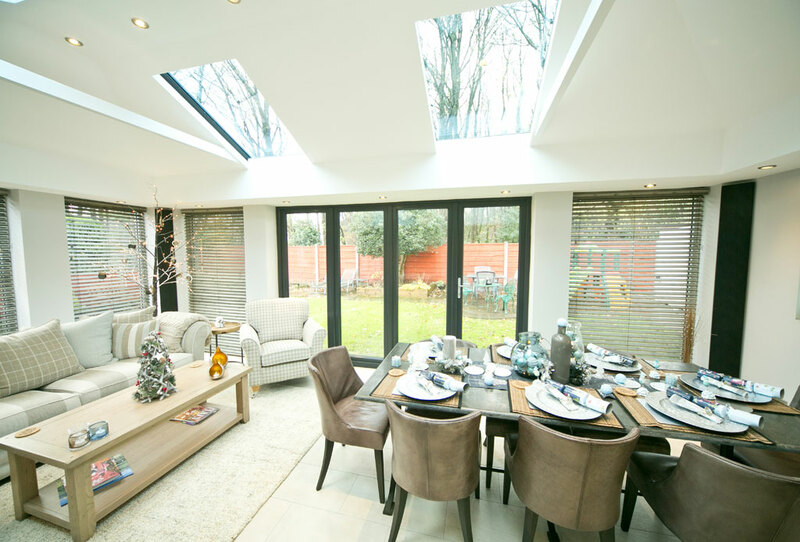 Combining both insulated solid roof panels, and high performance glazing panels, positioned to your personal requirements, it provides the ultimate flexibility. 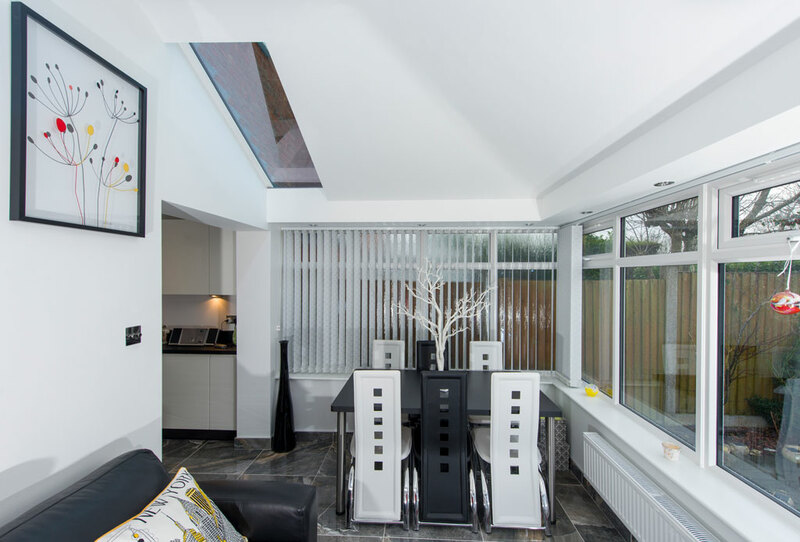 Whether you are looking to transform your existing conservatory with a roof replacement, or designing a new build from scratch, the LivinROOF provides both a stylish and thermally efficient answer. Composite external panels, finished in a sophisticated Anthracite Grey, are insulated by layers of Kingspan slab insulation, ensuring a U-Value of just 0.18, keeping your home warm in winter, cutting heating bills and creating an all year round living space. 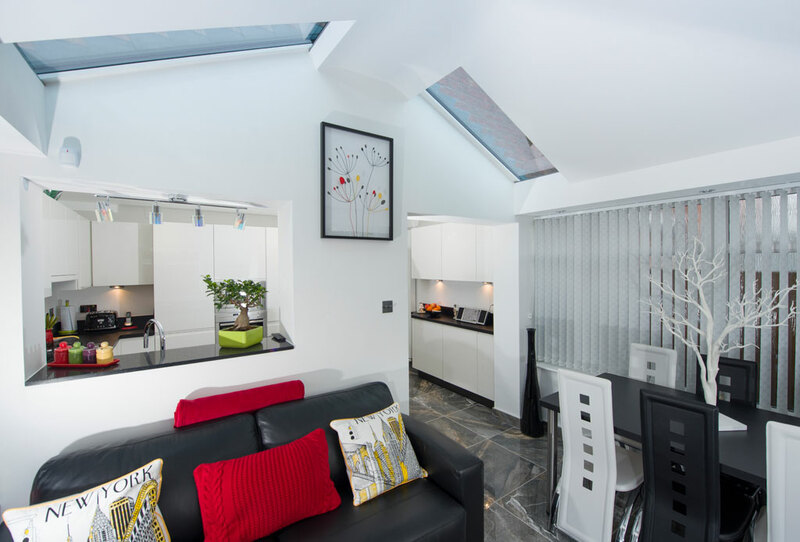 Internally, the panels are finished with a foiled back plasterboard, and plaster finished creating a bright, modern and cosy space. 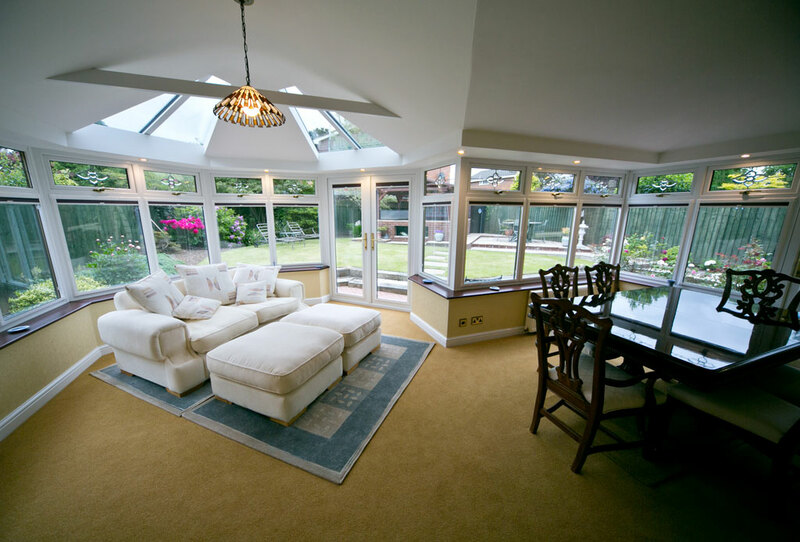 We can follow the shape of the roof, creating an impressive vaulted ceiling and feeling of height or, if you prefer, install a suspended ceiling to match your home. 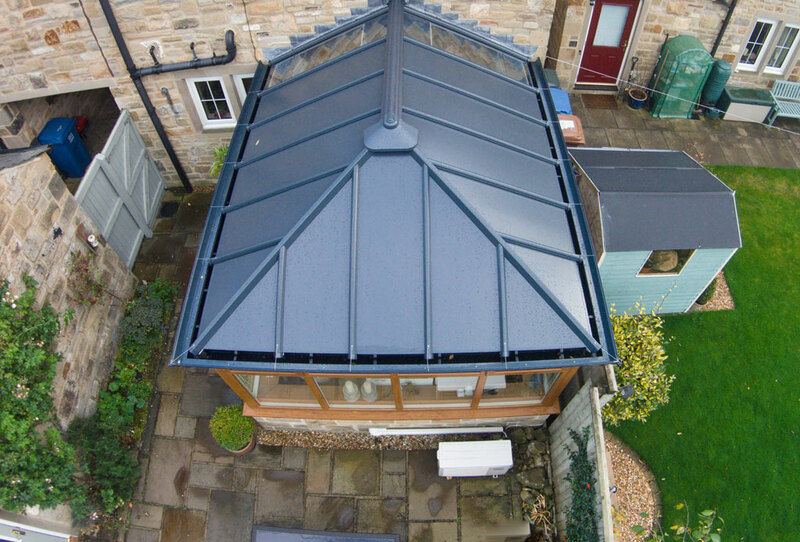 The truly impressive feature of a LivinROOF however, is that you have the choice to insert one, or multiple glazed panels, which will allow natural light to pour into your room, at a position determined by you. 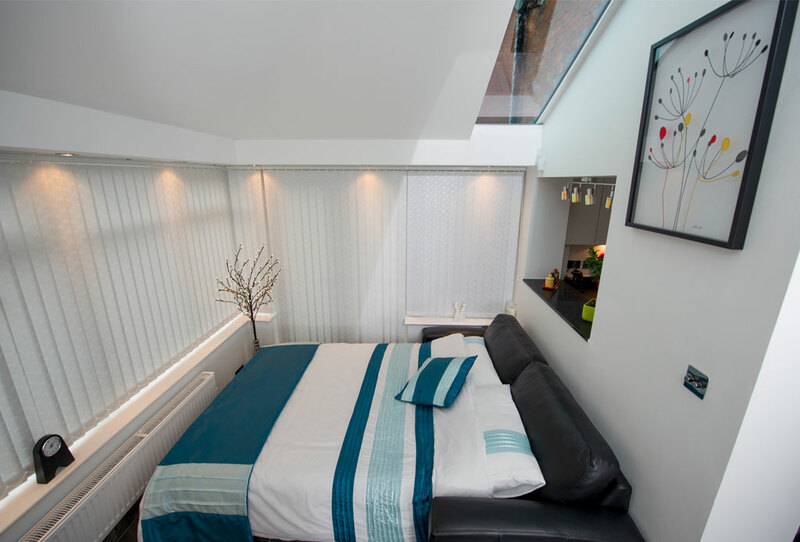 Featuring an internal pelmet, we can create the perfect ambience for your new living space by adding spotlights and speakers. 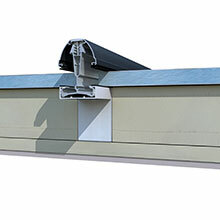 Externally, for a true luxury finish, you have the option of adding a decorative Cornice. 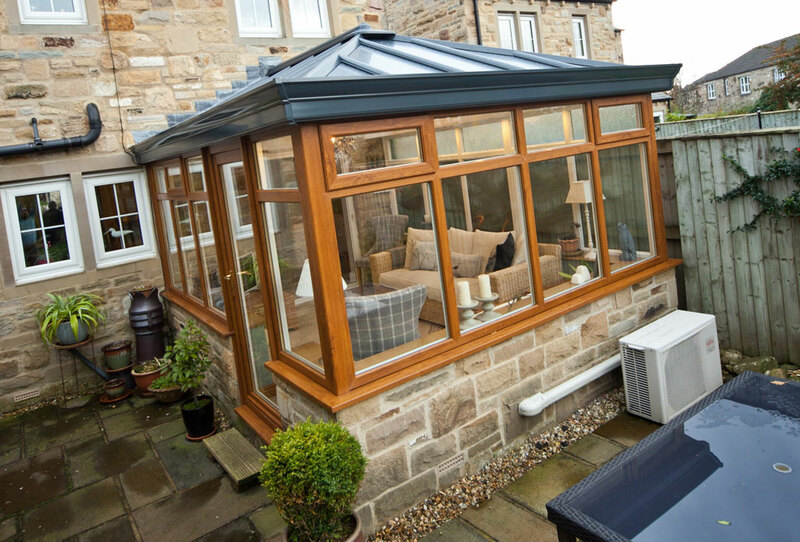 Ultraframe Classic roof system �' rigidity. 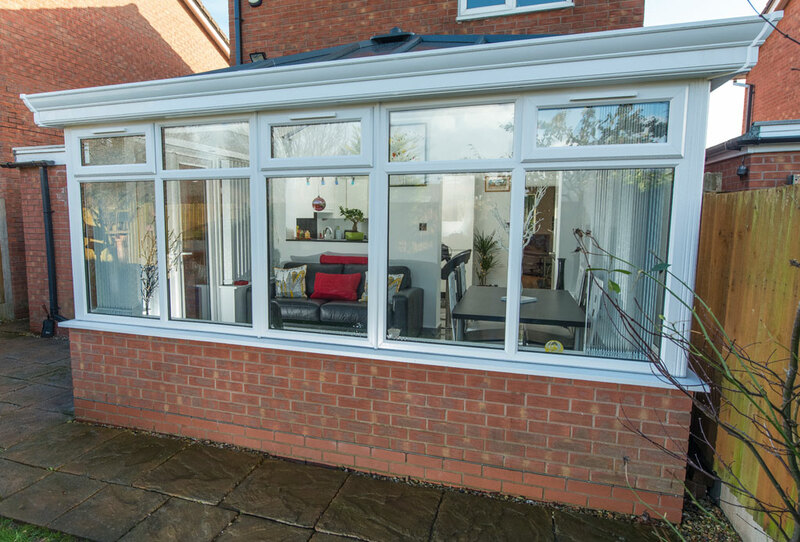 RAL 7016 colour finish externally. Internal pelmet ceiling as standard. "I live in a 300 year old cottage, and wanted to have it double glazed but it had to keep its old world look. I got 2 quotes and Croston came out on top by miles, best price and quality. The two fitters both called Rob (Father and son) very hard workers and did everything I asked of them and more (Thanks lads) I would also like to thank Natalie in reception, John the manager. What a wonderful job you all did."